Hello friend! Maybe, you’re a new ALSC member and know you want to get involved, but aren’t sure how. Or maybe you’ve been a member for a while and are feeling burnt out of conferences and committee work? Or you’ve had a membership but have not done a lot with it? Well, this post is for you! Here are five hidden gems of an ALSC membership. ALSC members are welcome to suggest materials for the prestigious ALSC Media awards. Committee members receive these suggestions and take them very seriously as they make their deliberations. Suggesting materials is a way membership can be active in the decision of these award results. This is a privilege only offered to ALSC members. The deadline has passed for making suggestions for the 2019 awards with the exception of Excellence for Early Learning Digital Media (EELDM). 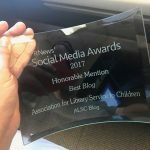 In 2019, ALSC membership will be able to suggest materials for the 2020 awards. The ability to watch archived webinars is a vastly underrated ALSC perk. ALSC offers archived webinars that can be viewed whenever and wherever and range from 60 to 90 minutes long. There is no limit to the number of times you can view the webcast. As of May 2016, archived webinars are free for ALSC members, and available for a small fee for non-members. This is very convenient, because you can listen to the webinars whenever you have free time! Some webinars on my to-watch list are: Supporting Healthy Racial Identity Development for All Children, Nurturing Empathy through Culturally-Inclusive Youth Programming and “Making” Readers: How the Maker Movement Can Impact Literacy. ALSC has an official wiki page! 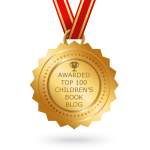 This wiki is open to ALSC members and those with an interest in library service to children. 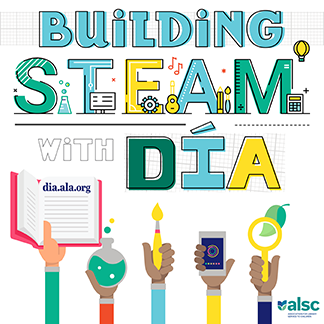 The wiki is a resource for information and news about ALSC or your library’s activities and projects. All are invited to share news about committee work, share ideas and best practices, network, and contribute to the wiki. Are you looking for ways to boost your profile? ALSC has many different opportunities to get published or present, without having to leave your hometown. You could submit an online proposal to teach a course or webinar, write a guest post for the ALSC blog or submit a proposal for a book or publication! ALSC is providing limited funding to members who are interested in staffing booths, presenting programs or coordinating social events at conferences, alumni events, or even local get-togethers. The event only need be related to library service, children’s publishing, or have some connection to library services. Members can submit requests for funds and materials! Do you know any other hidden gems of ALSC membership? Let us know in the comments! Summer Reading Program Grants, STEAM Grants, and more!